Camp Ta-Kum-Ta’s Main Lodge is where you can find the camp offices, club med (our medical facility), bunk rooms and camp’s great room. The lodge is the heart of our winter weekends. 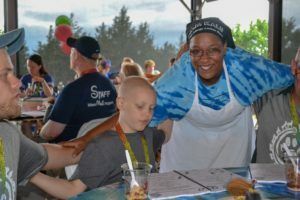 It provides warmth not only in the literal sense of gathering around a fireplace, but also provides a warm, safe, comfortable place for the connections and bonding that occurs among our campers. 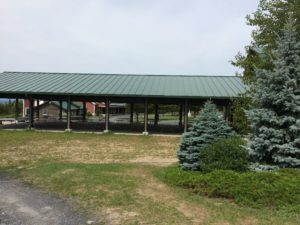 In 2018 our new “Holly D. Millier Pavilion” was added. This project was made possible thanks to generous support from Case and Judy Carpenter, Dealer.com, Dragonheart Vermont, Robert & Holly Miller, The George W. Mergens Foundation, The Hoehl Family Foundation, The Pizzagalli Family, and Vermont Mutual Insurance Group along with other generous individuals and businesses in our community. 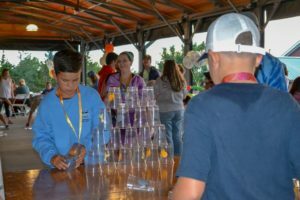 Our pavilion provides a place to host the magic of Camp in all types of weather, at any time of the year. 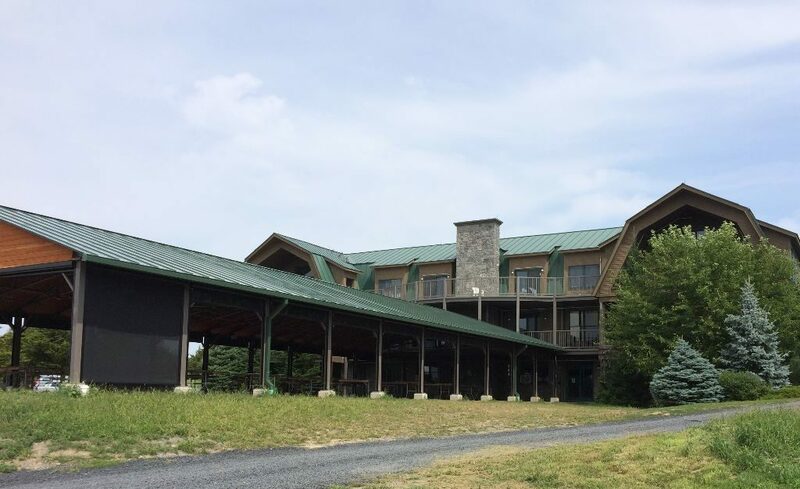 It will serve as the dining hall during our summer program, a gathering space for events and Camp programs, and as a home for the Camp TKT ice rink for our Winter Weekend programs. 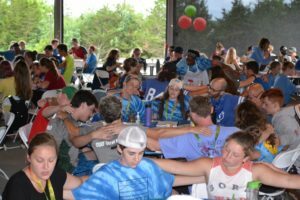 The permanent, open-air structure is much more than a building; the space will ensure everyone’s safety, host fun memories, and foster life-changing relationships for campers and their friends and families!